"MACSAUTO, which is a Franchised-based Company, Franchising for cars and motorcycles." Welcome to Our Website MACSAUTO. We are a Leading Automotive Company in Indonesia. Our main business, specially in Automotive License & Auto Workshop Equipment. When we talk about Automotive Industry, It has widely covered in many sectors of business. We offer Services in Automotive License Development for Car and Motorcycle Maintenance, such as : Rainbow Express Car Wash, Auto Detailing Salon, Paint Protection, Rust Protection, Oil Service, Accessories, Interior Car Leather, and additional service in set up Cafe. 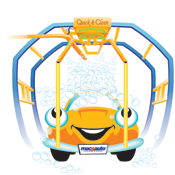 MACSAUTO, offering Concept "Onestop Automotive Center" in License Concept for Cars and Motor Vehicles Maintenance. If you need to consult and get further information. Do not hesitate to contact our Head Quarter to discuss furthermore. Thank you. Keep spirit and success!